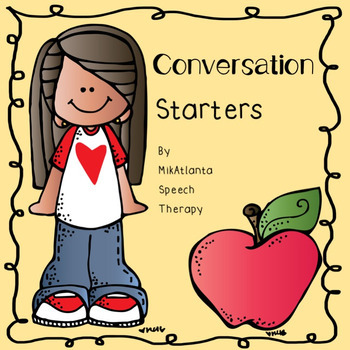 This activity pack includes a set of 48 cut-out topic cue cards to initiate conversation. These cue cards stimulate discussion about a variety of topics including animal categories, household items, food groups, game and play items etc. This resource would be most beneficial for students in early elementary/primary school to enhance their topic maintenance and conversational skills. *please note this product contains US English spelling e.g. "favorite"